Like a lot of businesses, travel is crucial to my success, and I’m always looking for ways to get the most out of my travel investment. 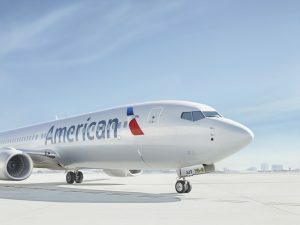 Fortunately, American Airlines® supports businesses of all sizes with various travel programs and services, including the Business Extra® program; a complimentary loyalty program that reduces travel costs for small and mid-sized companies while allowing employees to continue to earn their AAdvantage® miles. I’ve been a member of Business Extra® since 2010, and the program has allowed me access to Admiral’s Clubs all around the country through the points I’ve accumulated. It’s a lifesaver when I’m traveling and need a quiet, comfortable place to work with great wifi and healthy, delicious food. Joining is free and easy, and there is no annual commitment. Companies earn one Business Extra point for every $5 spent on employee air travel on American, British Airways, Iberia and select airline partners and redeem those points for flights, upgrades, AAdvantage® elite status and more.